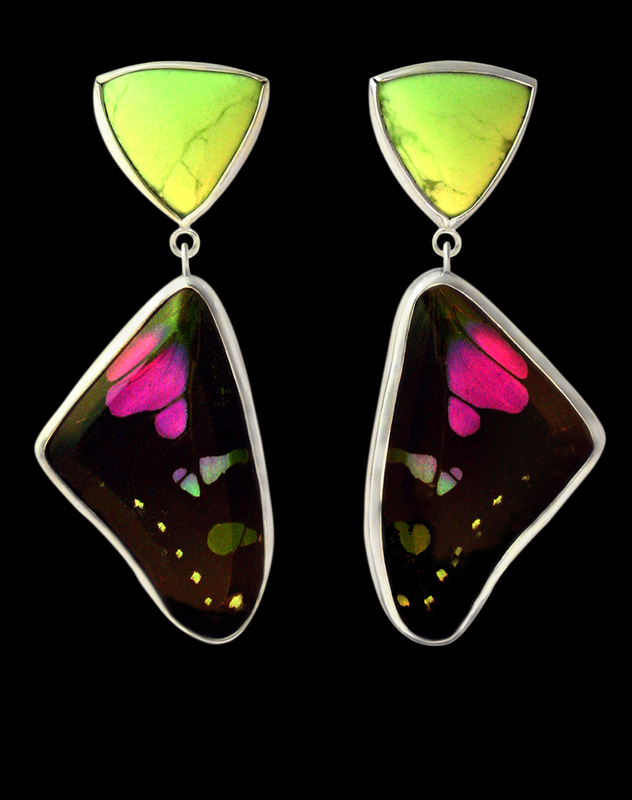 Genuine Graphium Weiski butterfly wings set under hand cut and beveled clear glass. The wings are suspended under triangular cut Gaspeite stones. Settings are constructed out of sterling silver.